Turn the waffle maker on. In a bowl, sift the flour and the baking powder. Add the sugar, the milk, vanilla and the egg yolks and mix well. In another bowl, place the 2 egg whites and the salt and beat well until the egg whites make soft peaks. Gently fold the egg whites into the egg batter until it is well incorporated. 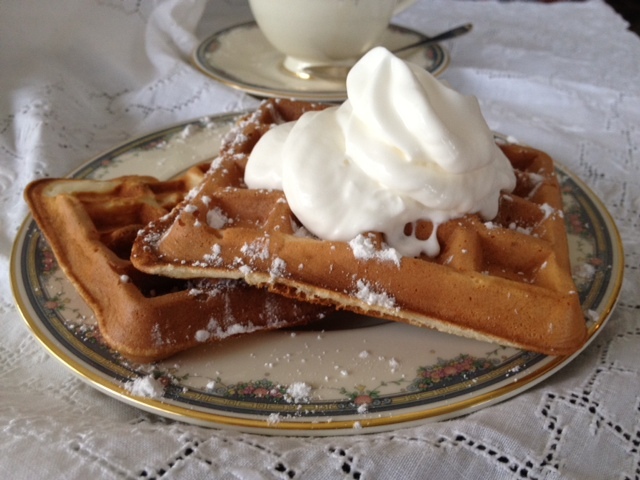 When the light of the waffle maker goes off, start making the waffles. First melt the butter in the microwave for 30 seconds until it is completely melted. With a pastry brush, brush the waffle grids. Empty 1/4 cup of batter on each waffle grid. Bake the waffles for 90 seconds or more ( depending on the way you eat your waffles). 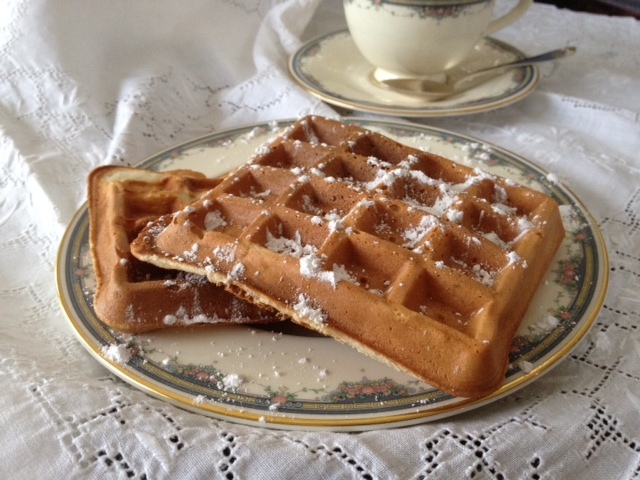 Open the waffle maker and with a plastic spatula, lift the waffles and place them on a plate to serve. To eat, children can sprinkle powder sugar, spread Nutella chocolate butter, drizzle maple syrup or add some whipped cream. Et voila! !